Newsletter - Join our newsletter to be notified first about future puppies and special stud service promotions. Please join our Newsletter to say informed on any upcoming Rio Bravo puppies & special promotions. We DO NOT send out spam, any emails you will receive are relevant to our breeding program. 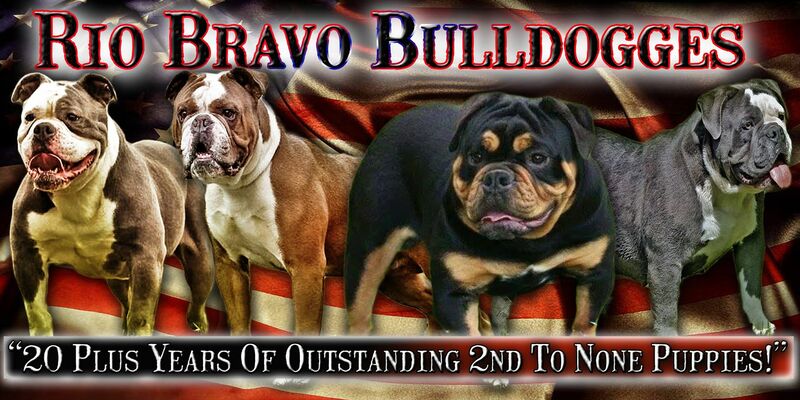 Thank you for your interest in Rio Bravo Bulldogges. Sign up for our Newsletter to be notified first about future pups! If your looking for a great Olde English Bulldogge pup give us a call (417) 554-3435.
blue olde english bulldogges, blue olde english bulldogs, blue oebs, blue olde english bulldogge studs, olde english bulldogge stud service, old english bulldog stud service, olde english bulldogge stud services, champion olde english bulldogges, blue bulldogs stud service, blue bulldoggies stud service, blue american bully stud service, blue american bullies stud service, blue bulldog puppies, blue american bully stud servies, blue olde english bulldogge breeders, blue olde english bulldogge puppies for sale, blue studs. copied, duplicated or linked to from any other site without the written consent of Rio Bravo Bulldogges.